NEW YORK, Apr 3, 2012/ — Kicking off this spring, IMAN Cosmetics, the leading global beauty brand for multicultural women with Skin of Color, will embark on an exciting new partnership with TV Notas Magazine! IMAN Cosmetics will be the contributing Guest Beauty Expert for TV Notas USA for Spring & Summer 2012, offering exciting beauty tips for today’s style conscious Latinas and will kick off the exclusive TV NOTAS/IMAN COSMETICS MODELO 2012 LATINA MODEL SEARCH! TV Notas is a bi-weekly Spanish language entertainment, lifestyle, beauty and celebrity fashion magazine serving the US and international Hispanic markets. The Modelo Campaign gives three real-life Latinas of diverse backgrounds and skin tones an opportunity to represent the beautiful multicultural range of the IMAN Cosmetics brand and become featured models for IMAN Cosmetics for a season! 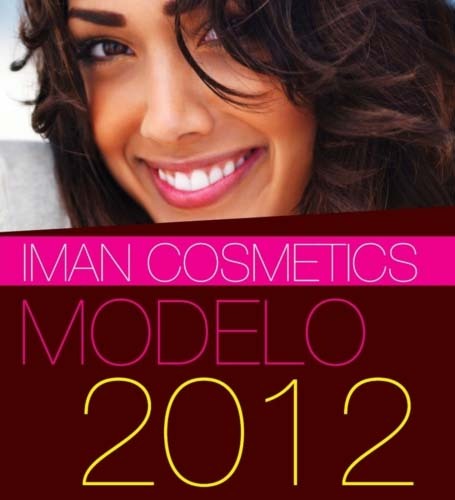 From April 3rd to May 31st, 2012, female contestants, ages 18 – 35, from all over the US and Mexico will be eligible to enter the MODELO 2012 IMAN Cosmetics Latina Model Search Contest. Contestants of all skin tones and all Hispanic-origins are encouraged to enter by submitting their: photo, name, age, country of birth, date of birth, phone, email and home address via email to: imancosmetics@mayapublishingroup.com or by mail to: IMAN Cosmetics Model 2012, PO Box 190878, Miami, FL 33119. On June 10th, 2012, three (3) winners will be selected to represent the IMAN Sand, Clay and Earth (light, medium and deep) range of skin tones. Winners will receive: A Professional Beauty Makeover Photo Shoot in Miami, a TV Notas Magazine Promotional Cover Spread in the September 2012 issue and on-line IMAN Cosmetics featured beauty campaign for Fall 2012!